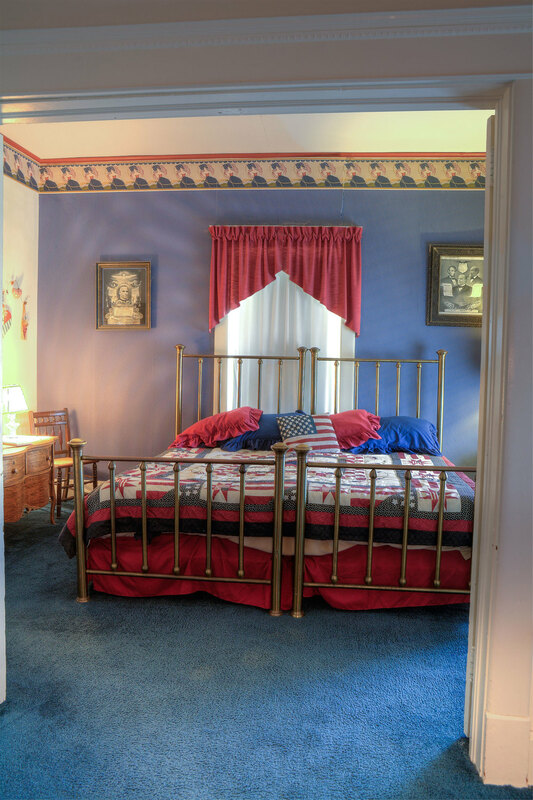 Antique king bed with a private ¾ bath. 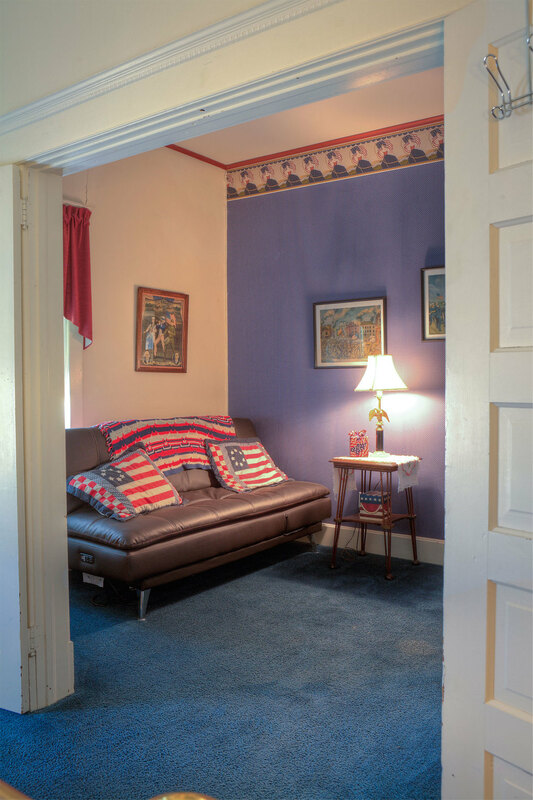 Sitting room accommodates up to two additional guests. This room honors the memory of the “Great Commoner” William Jennings Bryan; perennial (unsuccessful) presidential candidate and probably the greatest orator of his time. He made many visits to area Chautauquas and legend has it that he stayed at the Inn. Period artwork and literature adorn this room. Mr. Bryan would feel right at home – some say that he does!